1. 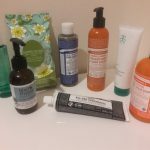 Aubrey Organics Calming Skin Therapy Cleansing Wipes – these little gems will help touch up stray makeup, and the added witch hazel and lavender will help de-puff tired eyes. Add extra de-puffing benefits by wrapping a wipe around an ice cube for a few seconds, to make it nice and cold. 2. 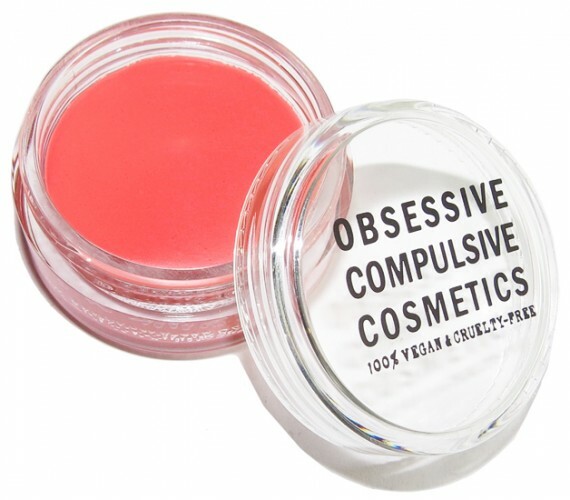 Obsessive Compulsive Cosmetics Crème Colour Concentrate in Grandma – A far cry from its name, this fresh, young coral color is anything but geriatric, and can be applied to the eyes, lips and cheeks. 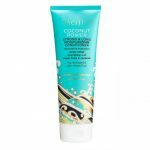 It’s perfect for adding some color to skin that’s lost its glow after a morning of back-to-back meetings. 3. NYX Blotting Papers – Don’t let a little mid-day shine slow you down! NYX offers 4 different types of blotting papers for all types of skincare needs: Tea Tree controls t-zone and oily areas on face, Green Tea packed full of antioxidants to rejuvenate skin, Fresh Face fortified with salicylic acid for blemishes, and Matte without extra additives, which is perfect for sensitive skin. 4. 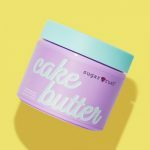 Now Foods Shea Butter – There isn’t much this miracle-in-a-jar can’t do. 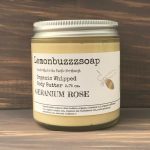 Whether you need it to smooth on to dry lips, or dry skin patches on your hands or elbows, this vegan and petroleum-free moisturizer is a great option to have on hand. 5. Jamilah Aromatherapy Letting Go Aromatherapy Inhaler – Up against a tight deadline? Don’t let stress get in your way. This aromatherapy inhaler helps to calm you down with one whiff of the yarrow, patchouli and rose blend. As Jamilah Aromatherapy states, “Sniffing a pleasing scent is one of the fastest means of receiving psychological and physiological effects: of the five senses, smell is the only one in which messages travel directly to the limbic system bypassing the cerebral cortex, the “thinking” part of the brain.” This little inhaler in your desk can be a lifesaver when you’re having a rough day. Now the only trick will be to hide these goodies well, so coworkers don’t help themselves!